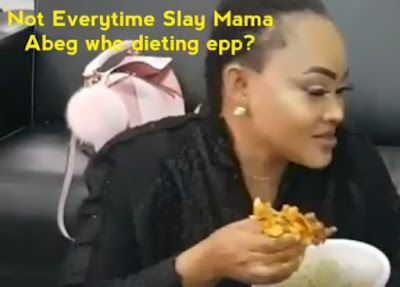 Mercy Aigbe is no longer dieting. 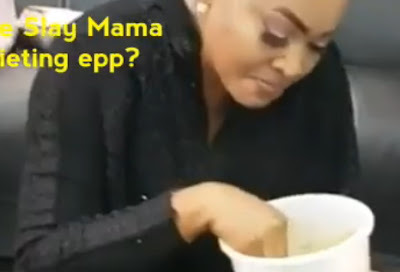 The Nollywood Slay mama who loves to look good was caught on video eating a big bowl of Amala and Ewedu soup at the home office of her designer, Luminee in Opebi Ikeja. The actress was caught on video saying she’s no longer dieting as she enjoys her delicious Amala and Ogufe. NG!!! when did eating amala and ewedu becom news na?